Why did he do so well? From the point of view of the Labour right this was supposed to be an auction in contemporaneity. Corbyn represented the 1970s, an industrial economy, trade union power, hand-knitted sweaters; whereas his rivals were supposed to represent the glittering forces of the scientific future. People would vote for the new wouldn’t they? Maybe they just did. Think for a moment of the most familiar consequences of neo-liberalism – job insecurity, the partial but real removal of the wealthy from the tax system and the degradation of public services that follows, the private sector annexation of common space, health, education … – all of these tend to leave the individual feeling alone. Churches, working-men’s clubs, unions, co-operatives, even pubs are seeing a decline in the number of people who use them. In the context of what can feel like a general demise of collectivity, the personal qualities of our leaders take on a new and unfamiliar importance. When leaders let us down we shout “not in our name”, and look for someone different who we can identify with. In this context Corbyn’s seeming personal incorruptibility – his most often noticed virtue is that he is our Parliament’s lowest expense claimer – seems immediate and new. Now reverse the exercise, and see neo-liberalism as the accidental creator of new solidarities, whether that is the seeming prevalence of non-monetised relationships online, a new speed of communication through social media, or through (some) social campaigns a re-collectivised public space. And it becomes possible to argue that there is, immanent in our present, a more collective future waiting to emerge. Seen from this perspective, Britain becomes something surprising – a residually social democratic society, with a left consensus that re-emerges whenever you ask people whether we need public services. 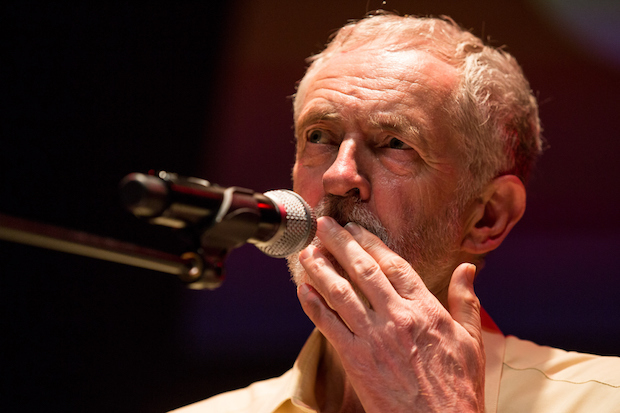 Corbyn’s civility – his refusal to boast, his unwillingness to antagonise – can feel like the long-awaited reconnection of “politics” with the values of the majority. It certainly feels much more immediate than the Blairite gurning for the interests of the super-rich. Now listen to Blair in 2015, mid-campaign, complaining that the future is being ignored: “We should be discussing how technology should revolutionise public services; how young people are not just in well-paid, decent jobs but also have the chance to start businesses that benefit their communities; how Britain stays united and in Europe; what reform of welfare and social care can work in an era of radical demographic change.” Doesn’t it all feel so tired? Voters just know that the million jobs moved from employment to self-employment are not better paid, they’re worse. The privatisation of public services is in the eyes of no one (save perhaps Richard Branson’s accountant) an unexplored frontier. The Europe that crushed Syriza has delivered no enthusiast claiming to have seen the future and it works. In due course, Corbyn may well look old. The 99 speeches he has already given (he reaches a century today) already wear on his face. There will be a time when it is no longer possible to see them as the benign look of a runner reaching his racing weight. Faced with a five-year barrage that the last month has barely foreshadowed – attacked by the rich, by the Tories, distrusted by a majority of his own MPs – he may struggle. (Those of us outside the Labour Party will need to remember that he is being attacked not for any flaws but for his socialist politics) One day we may become nostalgic for those socialists who respond to invective with its like. But, today, he has more than earned his victory. Beneath the paving stones, comrades, it’s beige. One day we may become nostalgic for those socialists who respond to invective with its like. But for now I’m happy to give the anti-Galloway a try! ” his refusal to boast, his unwillingness to antagonise – can feel like the long-awaited reconnection of “politics” with the values of the majority. ” Bit late to the party on this comment but you are spot on here. And I would add now his ability to just hang on in there at PMQ’s until the braying mob dies down.